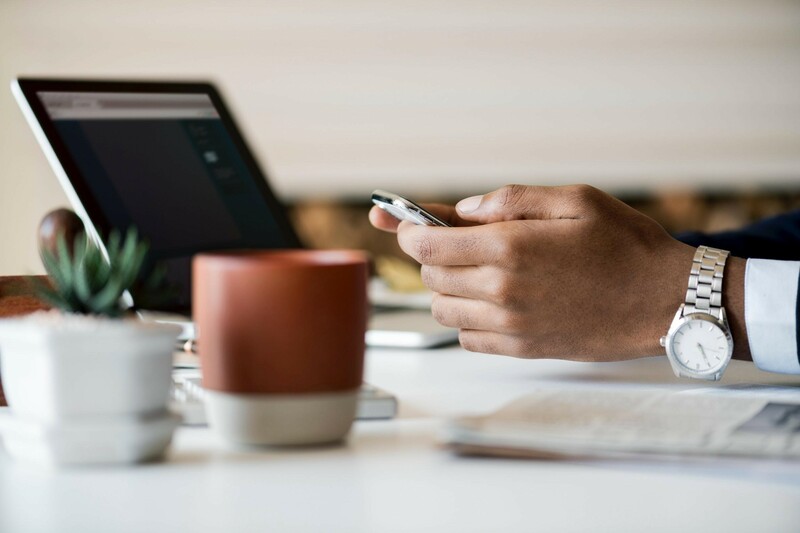 The Internet of Things (or IoT) is not just changing the way that we work but also the way that we live, with more and more homeowners deciding to invest in smart technology. By 2025, the IoT is projected to have a global economic impact of between $4 and $11 trillion. As intelligent tech continues to grow, we can expect to see it affect our day-to-day lives. In fact, it probably already does! Nowadays, smart home devices are helping to streamline our lives and make new tech more accessible than ever. There are countless gizmos and gadgets that are designed to help us overcome tedious tasks and lead a more fulfilling lifestyle. Here are just a few of the ways that modern technology is allowing homeowners to take complete control of their living space. Lighting in the home can be controlled remotely with special lightbulbs and an app on your smartphone. 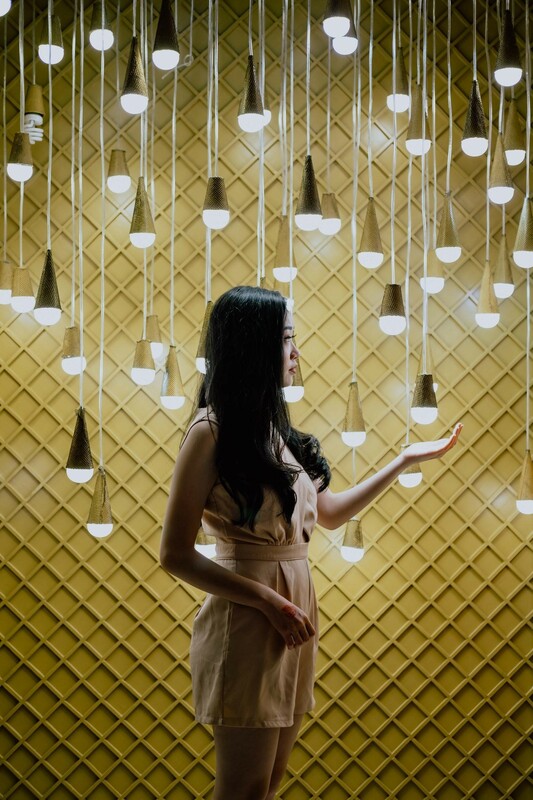 You can dim and brighten lights as well as turn them on and off from virtually anywhere (courtesy of Unsplash/Reinaldo Kevin). Programmable thermostats are becoming a popular fixture amongst homeowners who are looking to save time and energy when it comes to upkeep costs. A smart thermostat not only helps to keep your home at ambient temperature but can save you money in the long run by preventing damage to your property caused by trapped moisture in the summer and frozen pipes in the winter. There are both Android and IOs apps that are designed to offer a sustainable climate control system. With a zone-based smart thermostat like one from Nest, Ecobee, Honeywell, Emerson, and others, you can control the heat in this home office of a 4-bedroom Contemporary style home from any location through a smartphone (House Plan #107-1015). Entertainment used to center around a popular venue like a movie theater or concert center; these days, most people prefer to enjoy music and movies in their own home. Smart televisions are a great way to control media from your mobile device and enable continuous viewing from every room. Wireless speaker systems can also enhance your audio-media experience. 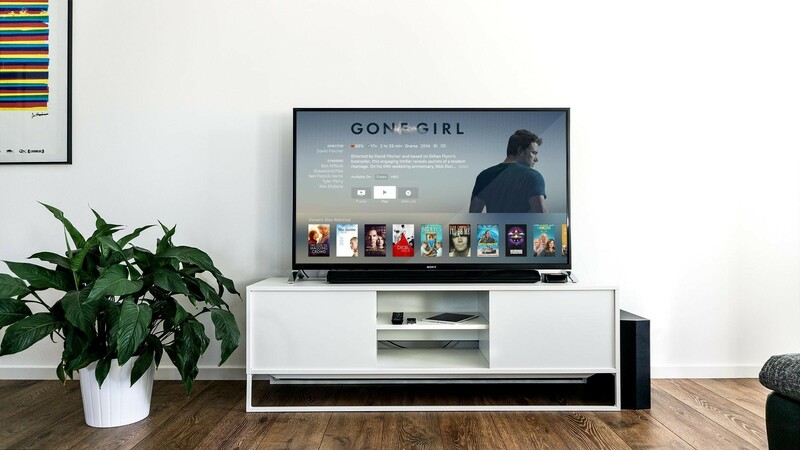 Smart TVs like this communicate with the Internet to give you access to dozens of entertainment apps from companies like Amazon, Netflix, Hulu, and more so you can watch virtually anything you want from movies to binge-worthy TV sereis (Courtesy of Unsplash/Jens Kreuter). Smart technology isn't necessarily limited to the indoors. You can take advantage of media systems just about anywhere in your home, from your living room to your garden. Outdoor systems are becoming more commonplace with modern technology, allowing homeowners to enjoy music, movies, and more in their backyard at just the push of a button. Even mood lighting can be personalized to help improve your outdoor experience. Whether you’re connected to the grid or rely on alternative energy sources such as wind and solar, you can enhance your outdoor experience by connecting your garden or lighting to the IoT. This allows you to control your outdoor environment with your smartphone, adjusting lighting at will. 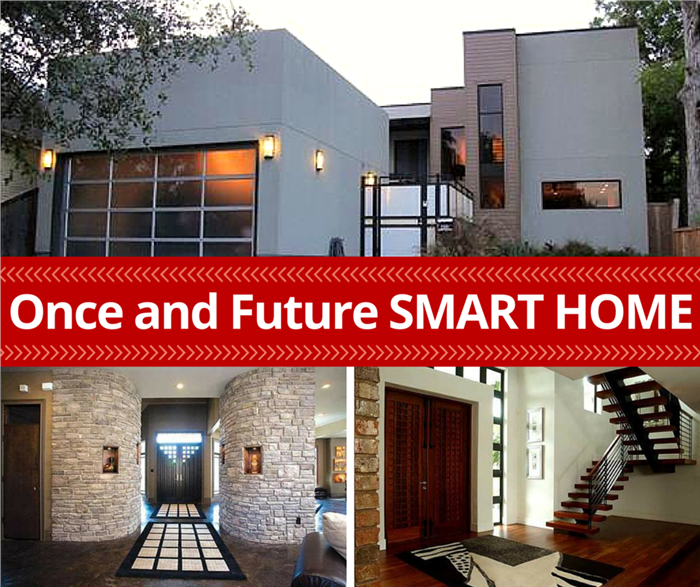 Smart home technology not only makes life easier but also safer. You can keep tabs on your home from anywhere on the globe, whether you’re leaving the country or simply going out for date night. Smart locks allow you to check and see if your house is secure from anywhere in the world, giving you peace of mind even while on vacation. Many systems even allow you to lock and unlock your house remotely, giving access to third parties such as pet sitters and house sitters. You can also open and close your garage door with just a swipe of your finger. If you’re concerned about water damage, smart sensors help to prevent issues stemming from leaky dishwashers, washing machines, and more. You can also check up on home lighting systems to ensure that you’re not draining valuable energy reserves. If there’s a visitor at the door, Wi-Fi-capable doorbells allow you to see a photo or video of who you missed. Smart technology gives you the peace of mind to go on vacation without worrying about keeping tabs on your home setup. 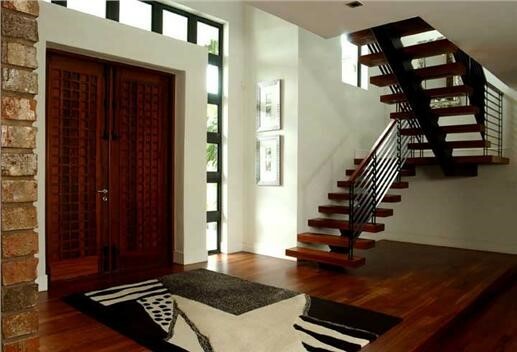 An automated smart lock can be installed inside the door of this 2-story modern Florida-style house plan – with access via a smartphone from anywhere (House Plan #107-1015). Reducing work with machines is one of the cornerstones of American ideology. Since the era of Henry Ford, assembly lines and mass production have been the status quo. 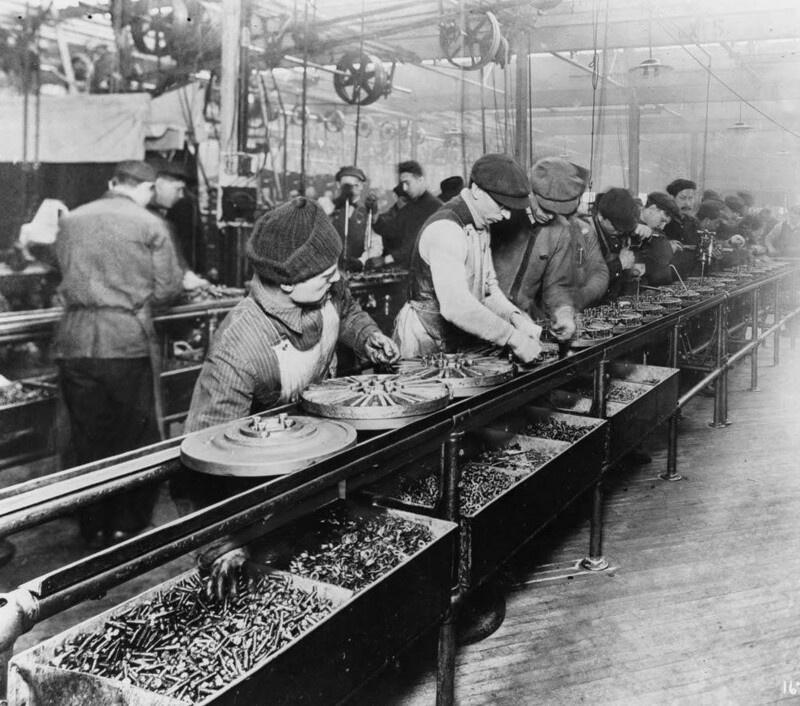 Here, workers on the first moving assembly line – put in place by Ford Motor Company – put together magnetos and flywheels for 1913 Ford automobiles in Highland Park, MI (courtesy of Wikimedia Commons). Minimizing work in the home has been a popular trend in the past century, from the first vacuum cleaners to the invention of the washing machine in the early 1900s. Technologies such as dishwashers, disposal units, and refrigerators keep pushing the threshold of automation, creating a more convenient world for homeowners. The first personal computer, ECHO IV, was introduced to homeowners in the mid-1960s. It was designed primarily to handle household tasks such as accounting, controlling temperature, controlling appliances, and creating shopping lists. As a unit comprised of four large cabinets weighing about 800 lbs., however, the ECHO IV wasn’t accessible to many families and was never produced commercially. The term “smart home” didn't exist until the mid-1980s. In 1984, the National Association of Homebuilders coined the term to refer to home automation that integrated the latest technology in the building process. The first smart locks and light switches were introduced as independent units far before the Internet was a mainstream utility. Instead of being connected to the Internet, these stand-alone devices could only be operated by connecting with a local unit using protocols such as Z-Wave and Zigbee, and they tended to have a difficult setup process. The introduction of the first iPhone in 2007 set the stage for IoT development in the home. As more and more people adopted smartphone technology, advancements in WiFi became accessible to the general population. For the first time in history, the idea of a universal IoT became a possibility for everyone from tech moguls to laypeople. 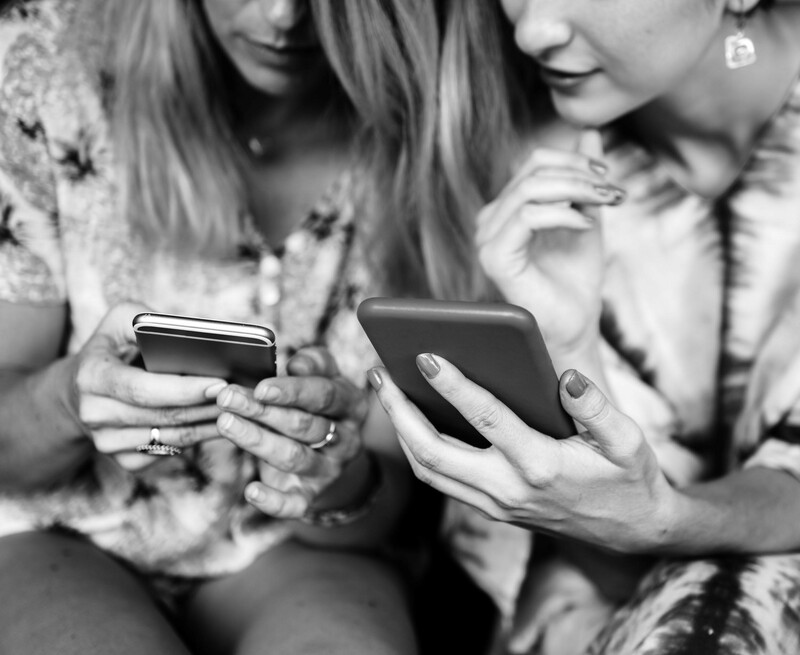 Just over a decade since its introduction, the iPhone has helped change the way we live our lives, with the ability to be connected to the Internet 24/7 (Courtesy of Unsplash/Rawpixel). Both startups and large corporations alike are currently embracing smart technology as a way to capture the public’s attention. Smart homes are here to stay, and they’re making an impact on how families view productivity and sustainability. Technology is pushing us into a future where home design combines both form and function to create economic solutions to both old and new issues alike. Here are just a few of the ways that smart homes are helping to shape the world for future generations. Now more than ever, energy usage is a concern for families looking to cut their carbon footprint. Building with energy efficiency in mind as well as switching to smart technology can help to slash your emissions and allow you to do your part for the environment. 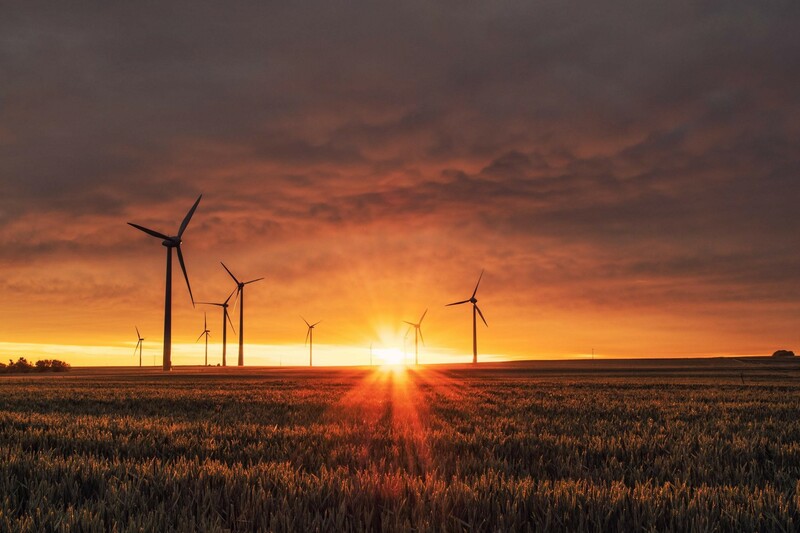 Signing up with a renewable enegy company for your household electricity is a big step to reducing your carbon footprint and is enhanced by the use of energy-reducing smart technology (Courtesy of Unsplash/Karsten Würth). Smart lights are programmable, meaning that you don’t waste valuable energy lighting your smart house when no one is there. You can also set your thermostat to turn on only when you’re home, helping you to avoid wasting power during the day. You can even find apps that help you to monitor your energy consumption and cut back on unnecessary usage. Lower energy consumption thanks to programmable LED lighting and thermostats is not only better for the environment, but also your monthly utility bill. While smart technologies might require an initial investment, most appliances pay for themselves over time. Lights, HVAC, and more can be turned on and off at the switch of a button. Instead of running your heat or AC all day, you can turn it off when you leave in the morning and have the system ready to go when coming home at night. You can also set thermostats to work autonomously, adjusting the temperature throughout the day to avoid using too much energy. Smart fridges are another way to save money on a regular basis. They can alert you when items are about to pass their expiration date so that you don’t accidentally waste any food. You can also keep your shopping list up-to-date so that you don’t waste money buying duplicate non-perishables and condiments. These days, smart homes are more than just isolated switches. Smart technology gives homeowners the capability to automate their entire lives, controlling everything from the TV to the fridge with just a few buttons. Smart hubs such as Google Home and Amazon Alexa give you the opportunity to control all of your electronic devices through a single app. You can turn to your phone, your tablet, or your computer to control your home from anywhere in the world. For example, smart technology makes it easy to check up on locks, shutters, and even lighting schedules when on vacation to make sure that your property is safe and secure. Even if you don't have a smart hub, you can control smart home devices from your phone or tablet. Outlets that can connect to your Wi-Fi network can often be controlled using a mobile device. Simply set the plug up, set up your device, and turn it on and off using a switch on your phone. This can be a handy tool for everything from setting a humidifier at night to boiling a pot of coffee before waking up in the morning. This Echo Dot is part of the hardware family from Amazon that supports the smart Alexa app (courtesy of Unsplash/Andres Urena). 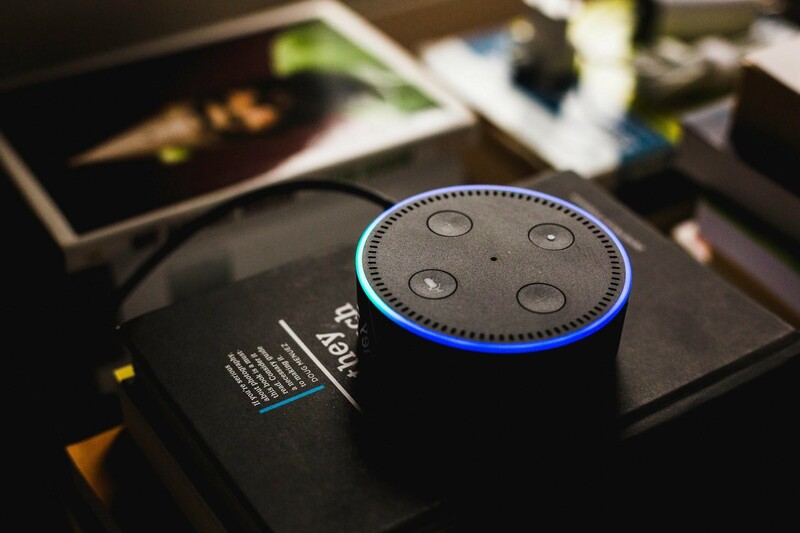 Voice control isn’t exactly a new concept, but in recent years it’s become more advanced than ever. Our computers and smartphones are able to recognize and carry out the majority of voice commands without difficulty. Only around half of homes today have a smart hub that responds to voice. Almost three-quarters of Americans want devices with verbal control, however, which is why many tech giants are scrambling to improve their recognition software to meet the growing demands of smart homeowners. Streamlined Media: Instead of watching movies or listening to music in only one room, you’ll be able to enjoy your favorite media throughout the house. Smart technology is making it easier to play music, movies, and more simultaneously across different devices. You’ll even be able to sync up with friends and watch movies together across states, timelines, and even continents. A Personal Chef: Smart technology is just beginning to boom in the culinary sphere. While homeowners today can take advantage of intelligent refrigerators and smart stoves, in the future, we can expect to see cooking tech become even more autonomous. Some companies are even prototyping robot chefs that can whip up popular meals at the press of a button. Better Sleep: For years, mobile apps have been available that are designed to help you monitor your sleep patterns. Now, however, companies are taking things a step further with the idea of a smart mattress. Sensors designed to measure sleep metrics will help you to analyze your rest patterns at night, while intelligent alarms and aromatherapy machines can help you to get a better start to your day. Home Spa Days: With smart technology, you’ll be able to bring luxury spa treatments into your own bathroom. Instead of dishing out cash each week for a star treatment, you can turn to personalized assistants to program your shower, tub, or even aromatherapy sessions. Socializing: Right now, personal assistants such as Alexa or Siri are still in their preliminary stages. Over the next few years, we can expect to see advancements in AI that make our personal assistants a lot more personable. In the future, many smart tech companies hope to make their electronic assistants more accessible by giving them conversational abilities. Access to the Internet through your computer or smartphone – along with apps and associated hardware for various systems around the house – is transforming the way we live our lives, remotely controlling everything from our household security to temperature control, baby monitoring to entertainment, and much more (Courtesy of Unsplash/Rawpixel). The Internet of Things is transforming the way that we live our lives. It helps to simplify and automate everyday activities such as turning on lights, changing the thermostat, and even locking the door. With the IoT, people from of all walks of life can enjoy all of the conveniences that new technologies have to offer. Footnote: The lead image (upper) in this article is a 2-story, 4-bedroom Modern style home. For more details, see House Plan # 116-1081. The lower left image is from a luxurious 2-story, 3-bedroom contemporary-style home. For more details, see House Plan # 153-1808.